For most business owners, keeping up with social media trends is very time consuming. Similar to how by the time you finally figured out how to plug in that brand-new cassette player, it had been replaced by the CD player. Social media is constantly evolving. This dynamic and ever-changing machine never sleeps. However, a little preparation goes a long way. Before you edit your website or post something on Facebook, be equipped with the latest social media trends. Your bottom line will thank you! Advertising dictates any changes in social media. Marketers are always developing methods to improve the advertising experience. According to Zenith Media, online advertisers will outspend television advertisers. Everyone is trying to get a piece of the action. Social media advertising could be less expensive. In addition, social media advertising has a greater chance of being shared. As a result, social media advertising is money well spent. A clever internet ad could be shared to millions of people across the nation and the world! Advertisers are discovering that the public likes live footage as well as video clips. 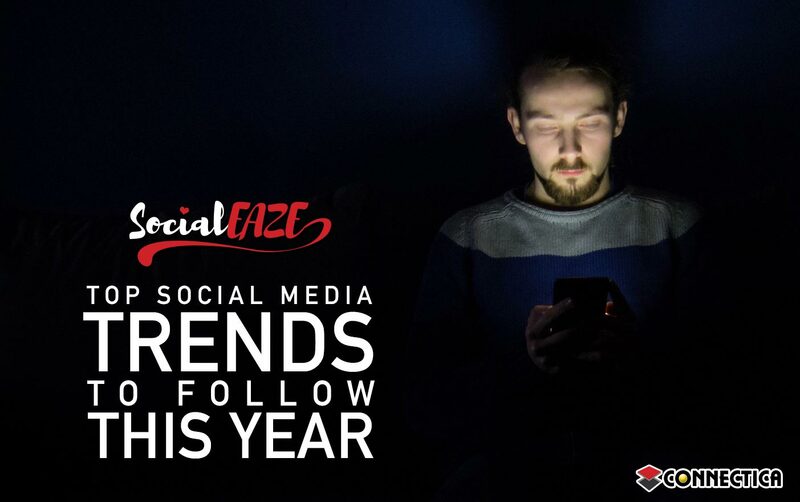 These social media trends are increasingly gaining popularity. If the viewer enjoys the clip, suddenly the posting business owner has a devoted audience – more importantly, potential customers. 18-34 has always been the Holy Grail demographic for advertisers. Young adults (18-34) are twice as likely to watch digital content than older adults. A few years ago, digital content became more watched than primetime television. Live videos are also becoming more popular on the internet. Essentially, a live video establishes camaraderie with the viewer. A live video also demonstrates confidence that an audience will watch it and confidence that the action being performed will be done correctly. If I am going to make a live video of myself juggling butcher knives, I better not make any mistakes! Another social media trend is the growing prevalence of messaging apps. 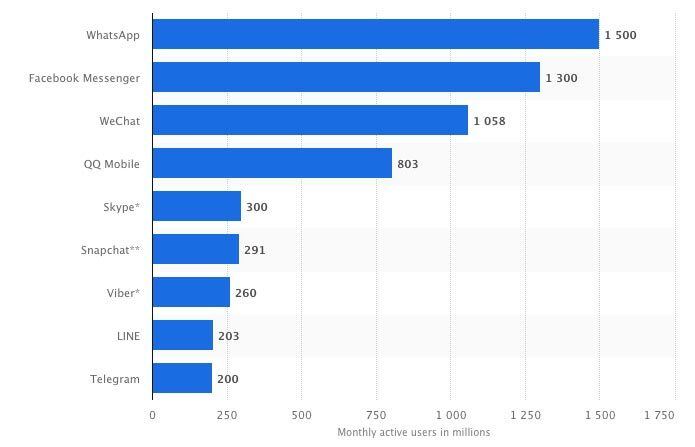 According to SearchEngineWatch, messaging apps have surpassed social media apps in usage. Remember how pricey it used to be to send text messages? If customers went over their carriers’ limits on messages sent or received, they’d be slapped with a fine. The evolution of messaging apps indicates a preference to send private messages as opposed to posting in open free-for-all forums. As Ash Read, the editorial director at Buffer (a leading social media management platform) states, “We’ll start to notice most social activity is no longer going to happen in public, instead transitioning to private groups and messaging apps. This represents a significant change in what ‘social media’ is.” Perhaps it is time to take heed of his observation! Last year was something of a crisis for social media. The Cambridge Analytica scandal as well as some grueling congressional hearings, caused Americans to question the ethics of social media. According to Hootsuite, 60% of people no longer trust social media companies. Advertising makes the world go round. An advertisement on a platform perceived to be corrupt, could actually harm a business. This loss of trust has developed in an advertising social media trend that companies, like Nike and The New York Times, are experimenting with. Instead of airing advertisements for everyone in the world to see, these companies are developing conversations with smaller groups. Intimate dialogue with just one potential customer could be worth much more than a hundred thousand clicks. Social media is always changing. Any business owner that wants to grow their audience engagement needs to keep up with social media trends. As long as these business owners incorporate the trends in this article, all changes will be manageable. Keep up to date on your social media strategy with our help – give us a call at (877) 816-2259.